Now that school is back in full swing here, I’m looking for quick, easy, healthy snacks for my son, as well as product that works with Box Tops for Education. Box Tops for Education is an easy way for every parent to help their kid’s school out. We all have to eat; and we all have to grocery shop… so while you’re shopping for groceries you can get great products for your family and get money for your school at the same time. What’s not to love about that? This fall, Totino’s is also helping to support your child’s school. Totino’s Party Pizzas will now carry Box Tops for Education! Now through September 15, Totino’s is offering two Box Tops for Education on every Totino’s product. 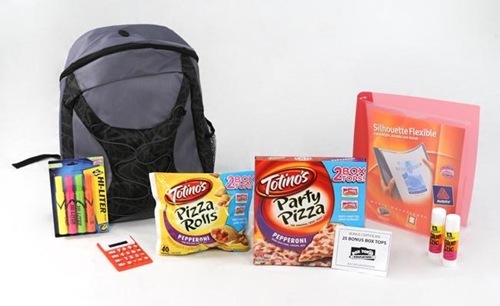 Totino’s is also giving away 10,000 Bonus Box Tops, school supplies and free Totino’s snacks to eight lucky schools through the “Make School a Better Place Sweepstakes!” To enter, visit BoxTops4Eucation. He, like most kids, I guess, loves pizza. So it goes without saying, he loves the Pizza Rolls. They really do make the perfect snack. And in moderation, I’m more than okay with Totino’s Pizza Rolls and pizzas. If you would like to win an identical pack, just follow the rules below. Mandatory Entry: Leave a comment sharing with us – What tips do you have to make surviving the back to school season easier? Optional entries: Leave an additional comment for each entry. For example, if you subscribe to BlogbyDonna, leave 2 separate comments saying you subscribed. Follow my blog on FB (widget on the right sidebar) and leave 2 comments saying so, for 2 extra entries. Grab my button and post a link to your blog for 3 extra entries. Blog about this contest (with a link to my blog) and post a link to your blog for 3 entries. The winner will be selected on 9/20/10 at 5:00 pm EST via random.org and will be notified via email. 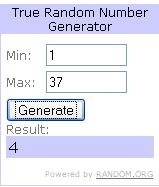 The winner will have 48 hours to respond. Just so you know: I was provided with the Tostino’s Box Top for Education prize pack for the purpose of facilitating this post. No other compensation was received and the views expressed here are my own. Congratulations Jessie C (commenter #4)!!!! Get everything ready the night before to avoid morning chaos. My best tip is to wait before buying supplies. Sometimes you get a list from school. Parents can help kids beat any back-to-school stresses by listening to them and scheduling special family time before the school-year returns. *Thanks* for the giveaway!